In a relief to city’s taxi operators, Delhi government today exempted them from installing Global Positioning System (GPS) in their vehicles till May 31, even as unions threatened to go on strike seeking permanent solution on the issue. The Arvind Kejriwal-led government also exempted public service vehicles including taxis, which are 13-years-old and are to complete 15 years in next two years, from installation of GPS. At Transport Minister Gopal Rai’s recently-held public hearing, several cab operators asked him to withdraw this decision. “Government has decided to give a two-month exemption to all cab operators from the installation of GPS. After government’s decision, taxi operators now don’t need to get GPS installed in their vehicles till May 31,” said a senior government official. In order to ensure women safety, government had recently ordered all taxi operators to install GPS in their vehicles, failing which fitness certificate will not be issued to them. “It was also decided that all public-service vehicles including cabs, which are 13-years-old, don’t need to get GPS installed in their vehicles for next two years,” the official also said. 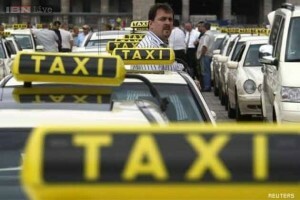 However, Delhi Pradesh Taxis’ Union reiterated that it would not call off their protest march against GPS. “We don’t not want just two-month exemption, instead we want a permanent solution. We will take out our protest march from Rajghat to Delhi Assembly at 10 AM on March 25,” Rajendra Soni, general secretary of the union. According to government, it was also decided to widely publicise such companies which are providing GPS costing less than Rs 10,000 to reduce the financial burden on taxi drivers.